How can I adjust the height of my form? I can adjust width, how do I adjust height? Could you please clarify a bit more your question? Are you trying to adjust the height of your form? 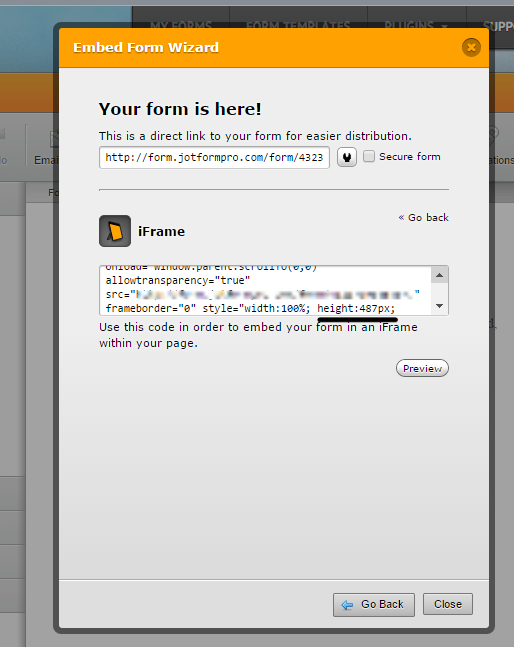 If this is correct you'll be able to do this when you use the iframe code of your form in your website. Yes I would like for the form to appear smaller on the page. not sure about the iframe. I am doing html copy and paste on the site. Can you share with us the URL of your website? Are you using the full source code of your form? If you're not you need to use an embed code in your website in order to make the form work properly.